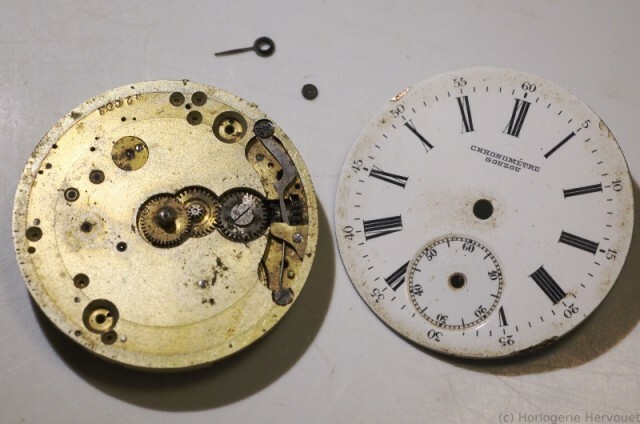 This watch arrived in the workshop in a really rough shape : dirt everywhere, and some missing pieces, among them the hands, the crown, the stem and one of the dial screws. The spiral came loose from the balance bridge. It is an unsigned movement of the beginning of the 20th century, probably French, of good quality. 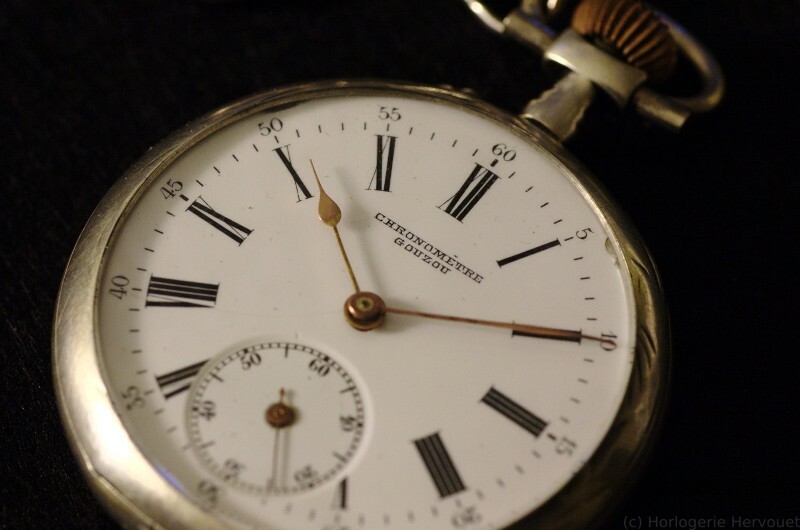 It is fitted with a swan neck regulator and a Breguet overcoil, and it proudly says on the dial “chronomètre Gouzou”, the name being probably the distributor’s.. Quite a few watchmaker’s marks are scribbled in the back, one dates back to 1915. The stem is made from a raw “ébauche”. 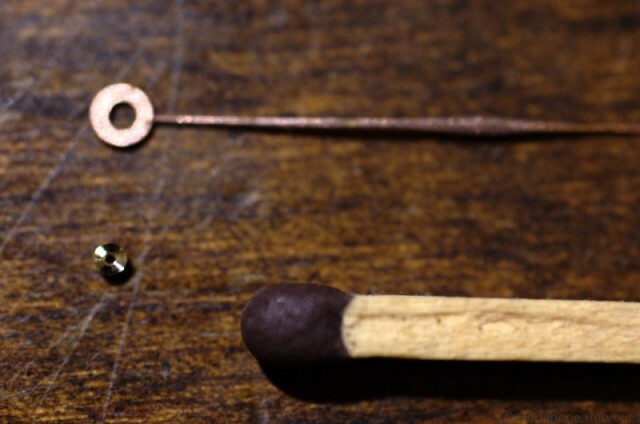 To be period-correct, the mounting of the crown is done the old-fashioned way, the stem being forced into the crown. 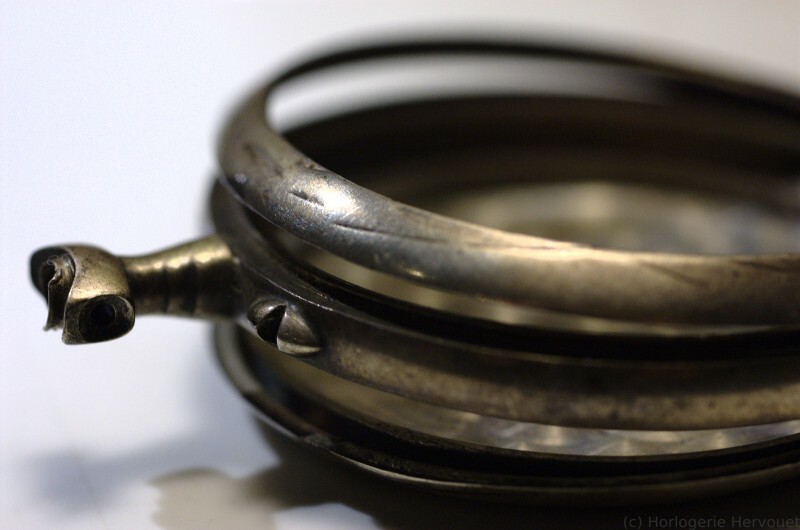 The end of the stem is filed down so that when mounted, the crown sits into the case. Not much remained of the hands; a pair yellow-plated hard steel is chosen, according to the style of the watch. 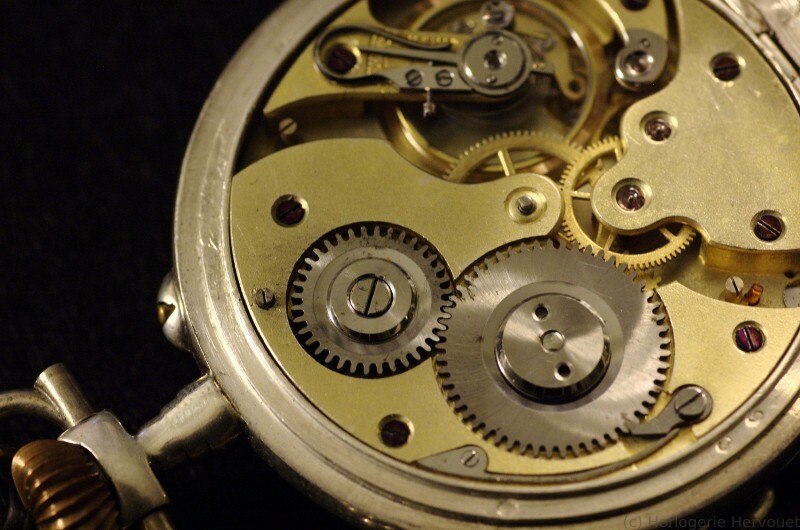 However, it is extremely difficult to find a matching pair of hands of the correct shape, same colour and material, same style, … and to be able to mount them on a specific watch. The hole diameter of the hands has a very narrow tolerance. A neat solution is to machine small brass bushings, to be fitted to the hands; the bushings are then reamed to the desired diameter. 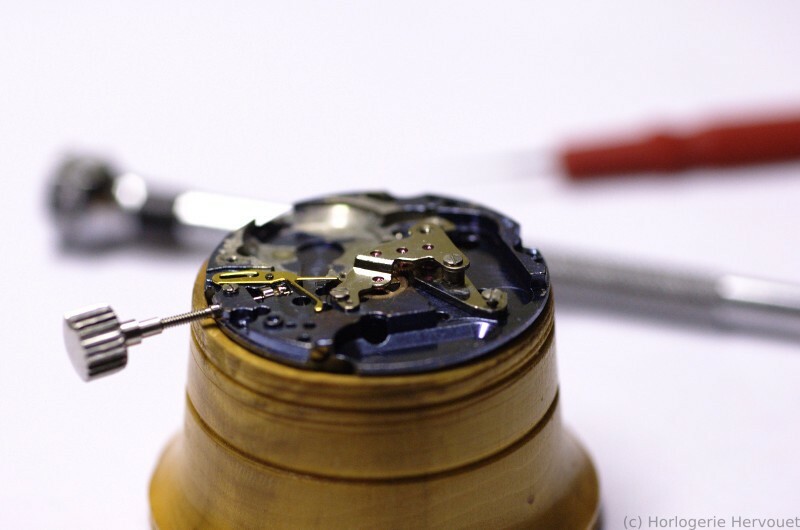 The results, after a thorough cleaning of both the silver case and the movement, and a new crystal. The watch is now quite useable. We are used to pocket watches, we see from time to time pocket and wristwatches movements mounted in desk watches. 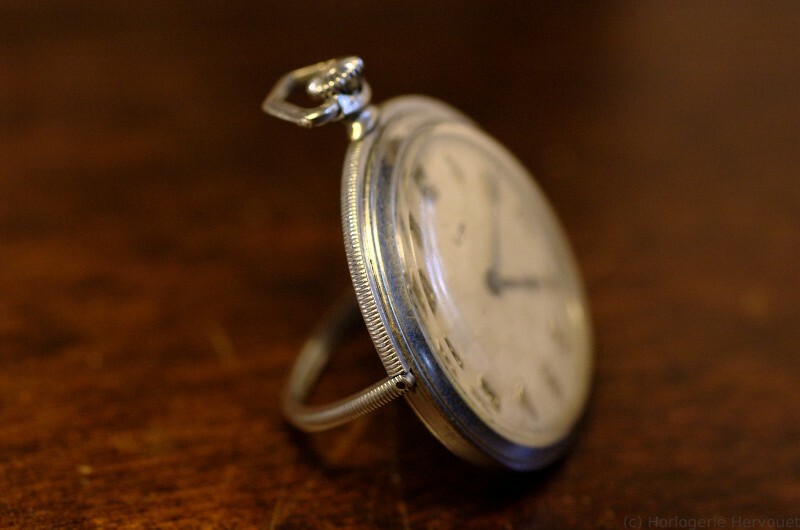 But a wristwatch movement in a pocket watch, also usable as a desk watch, this is new. 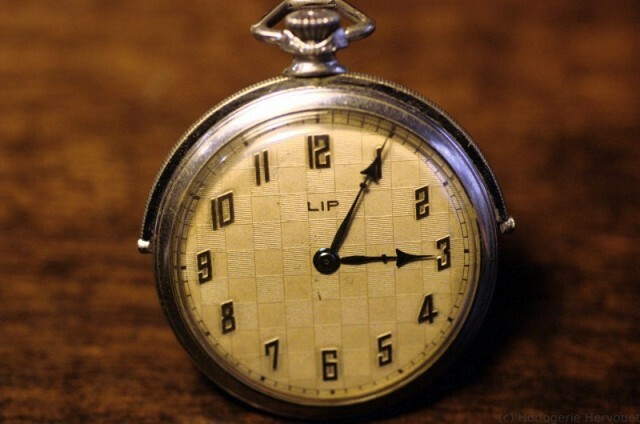 This thin dress watch contains a Lip 26.3 movement (I think : there are no markings inside, but it could be identified by the shape of the setting lever). Some “watchmaker” glued a minute hand of the wrong shape, I was very lucky to find a fitting replacement. 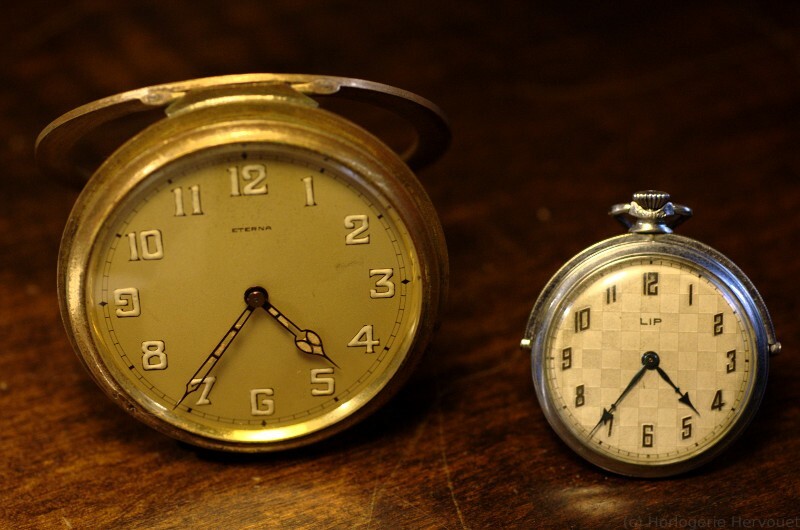 The styling of the dial and blued steel hands is typical of the 1920s. 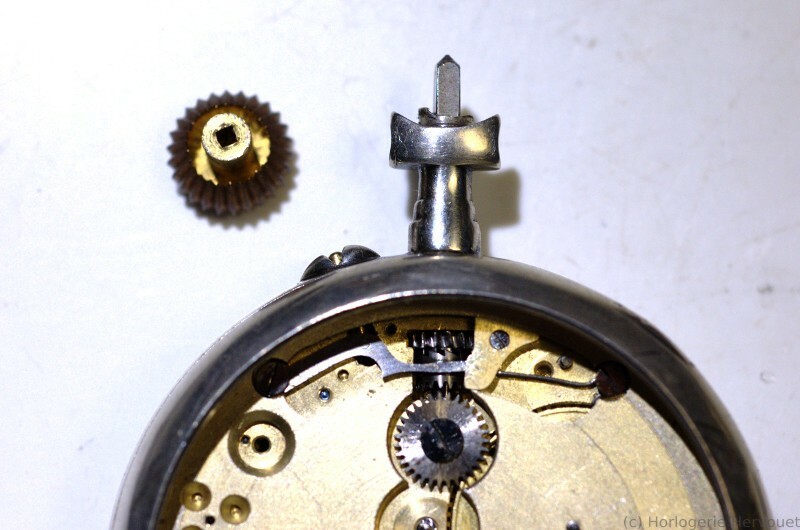 Here it is with a 18″ Eterna, a factory-converted pocket watch movement without stem. Both are build without seconds hand, like small desk clocks. 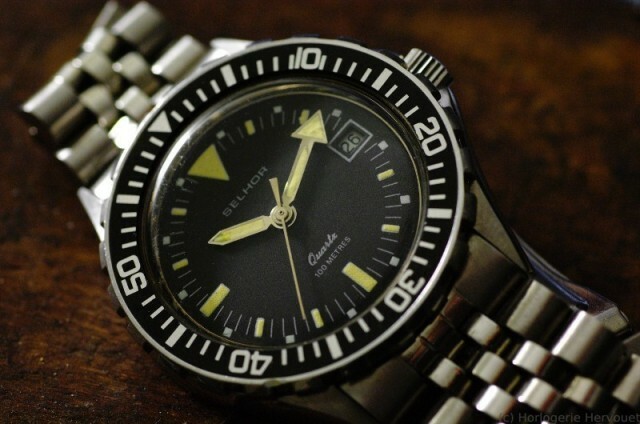 A typical watch of the 80s, an all steel diver with screwdown crown. 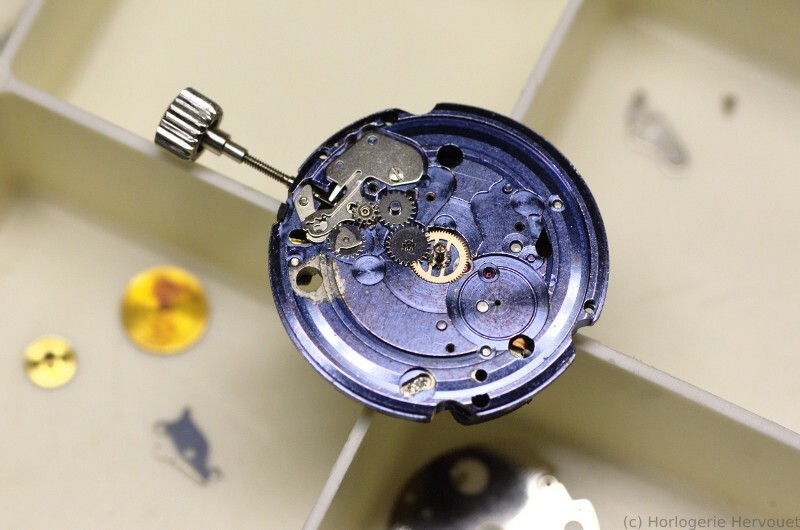 Its movement is a caliber made by France Ebauches at the beginning of the 1980s. Seldom seen anymore, because of a short production life, it has an interesting specification, the high torque of its motor. It will work even if there is a little dirt of dried grease inside. The downside is the battery consumption. A modern quartz will eat up less batteries, but will need a lot more servicing in the long run. This one was made in August 1981 (see the date stamp on the plastic hood). It needed a full service (complete disassembly, cleaning, lubrication) to work according to specifications, the wheel train was running completely dry. It was never opened before, the red seal had to be broken for the occasion. 34 years without service, not too bad. Selhor was a small french brand, active for many years. 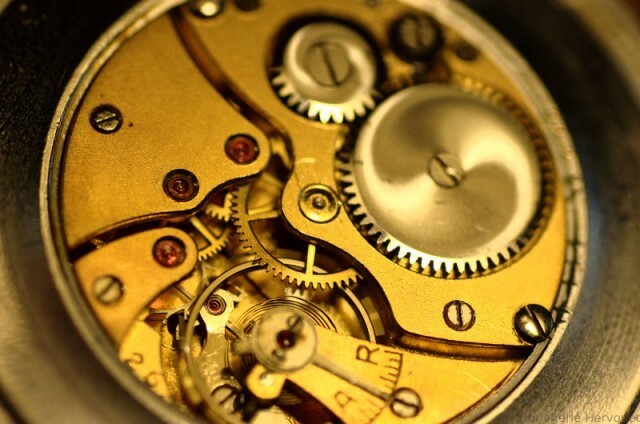 Nothing was made in-house, they only assembled cases and movements with custom dials. 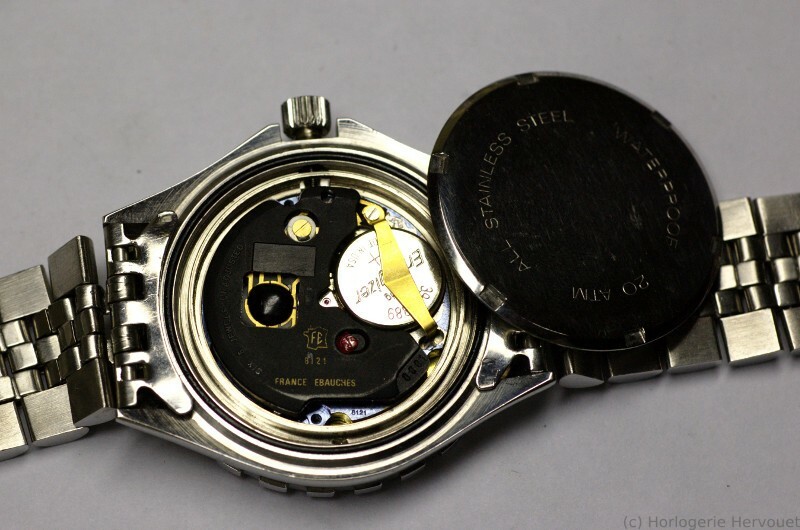 An error was made here: the depth rating of the case is 200m, but on the dial it states only 100m!